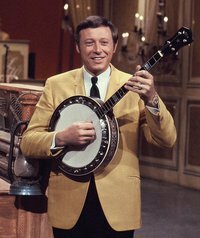 Neil LeVang was a popular and long-time guitar and banjo player on the Lawrence Welk show. He was born in North Dakota and joined the Show in 1959 on a temporary basis to replace Buddy Merrill while he left to serve in the U.S. Army. Mr. Welk was so impressed with LeVang, however, that he hired him full-time when Merrill returned in 1961. LeVang remained with the Show up until 1982. 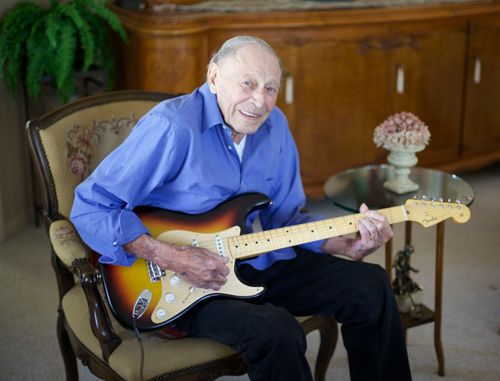 LeVang makes his home in Santa Clarita, CA where he enjoys playing his Fender Stratocaster.